$12/hr. paid virtual training, then $13/hr. after 90 days. No college needed, paid virtual training + benefits. 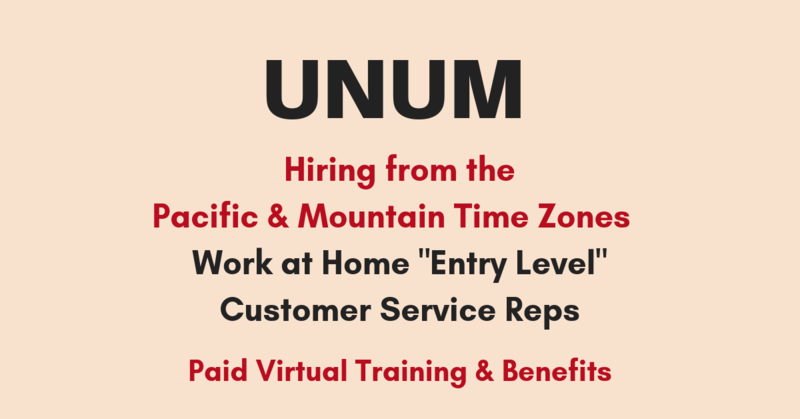 Equipment, Internet & benefits (from day one) included in these jobs at Unum. Enjoy! 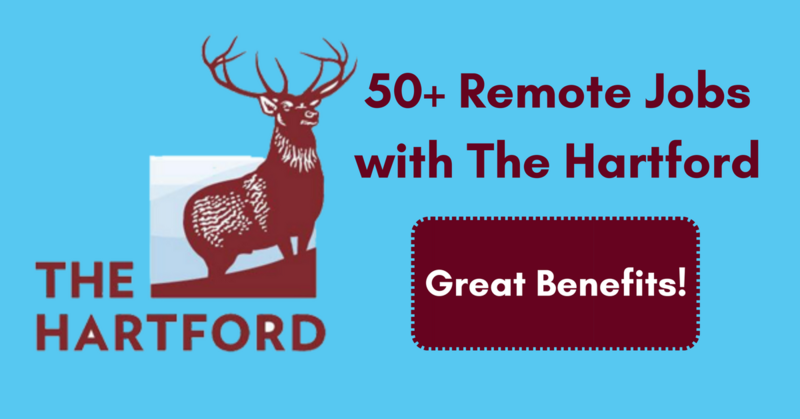 If you’d like to work for a Fortune 500 with benefits, The Hartford is hiring. Enjoy & share! 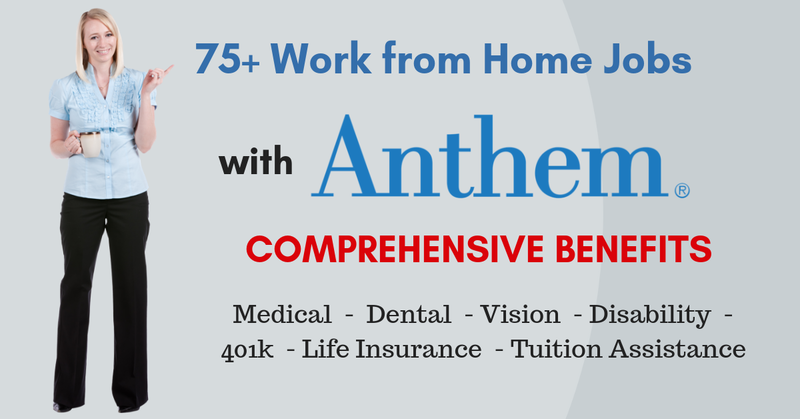 If you’d like to work for a Fortune 500, Anthem has 75+ remote jobs. Many benefits. Enjoy! If you’d like to work from home for a Fortune 500, UnitedHealth has many jobs open. Enjoy! If you’d like to work for a well-established company with benefits, Philips is hiring. Enjoy & share! 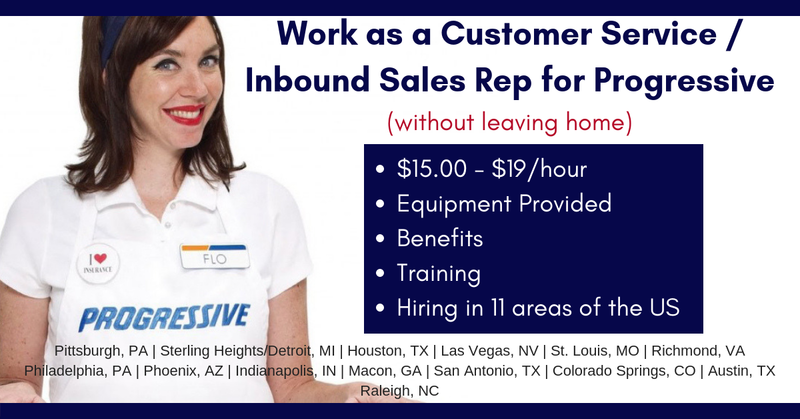 Progressive is hiring Independent Sales Reps in 11 US areas. Pay is $15-$19/hr, training is paid (and virtual), equipment and benefits are provided! 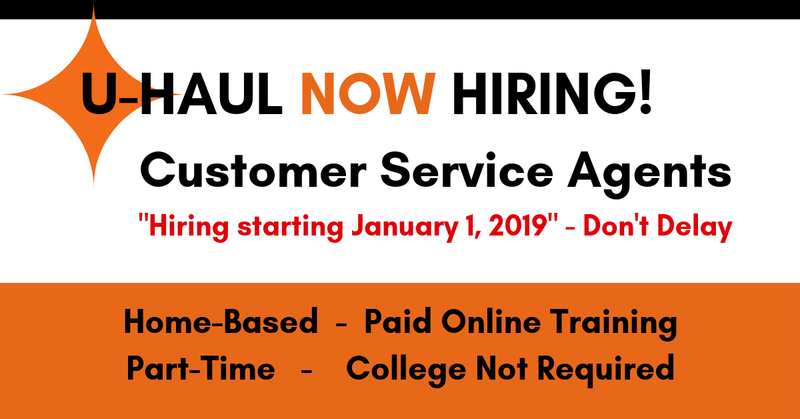 U-Haul Hiring for Part-Time Customer Service Reps Starting Jan. 1, 2019 – Apply Early!